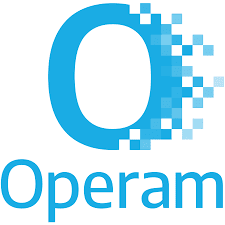 Operam Academy is an online learning solution designed to educate workforce’s on the latest international standards and best practice for the management of information. Operam Academy has both formal and informal learning channels, to address individual learning needs and learning styles. Each ISO 19650 eLearning course has on average 4 lessons per course with each taking around 10 minutes to complete. Narrated by a professional voice talent, with a downloadable audio script. Lessons are designed to meet a defined set of learning outcomes, which when combined meet the overall course objectives. Our courses are independently assessed by the CPD Service and learners receive a CPD Certificate upon completion of each course. To support those with impaired hearing each ISO 19650 eLearning lesson comes with subtitles. Each course finishes with a graded course assessment. Our eKnowledge channel contains self-guided informal learning. This allows learners to consume bite-size pieces of information, across a wide range of topics. Get your bundle of 10 for €960 below!